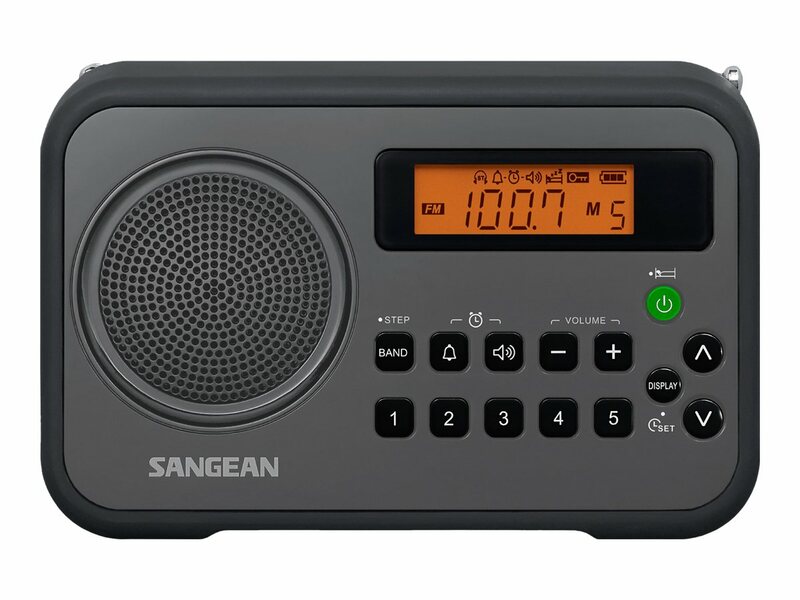 Sangean's PR-D18 AM/FM portable digital radio with fully functioning alarm clock capability and a protective bumper brings a meaning to the word versatile! While it is a perfect companion at a picnic, a ball game or at a camping trip, it can take all the bangs and scraps those fun adventures can bring and it also looks great while doing it! 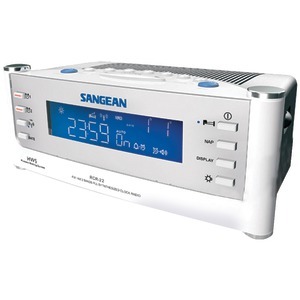 All controls are conveniently located and you can see the frequency and time on the display. The PR-D18 has excellent sensitivity and selectivity and will surprise you at its ability to pull in those distant stations. 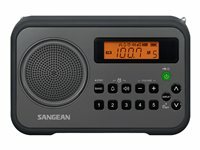 Five presets are available on each band and the auto seek will automatically seek the active stations across the entire band rather than to the next frequency. 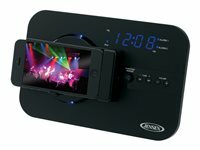 Also a perfect bedside alarm clock, you can set dual alarm times and choose waking to AM/FM radio or HWS (human wake-up system) buzzer alarms. There is also a snooze button. 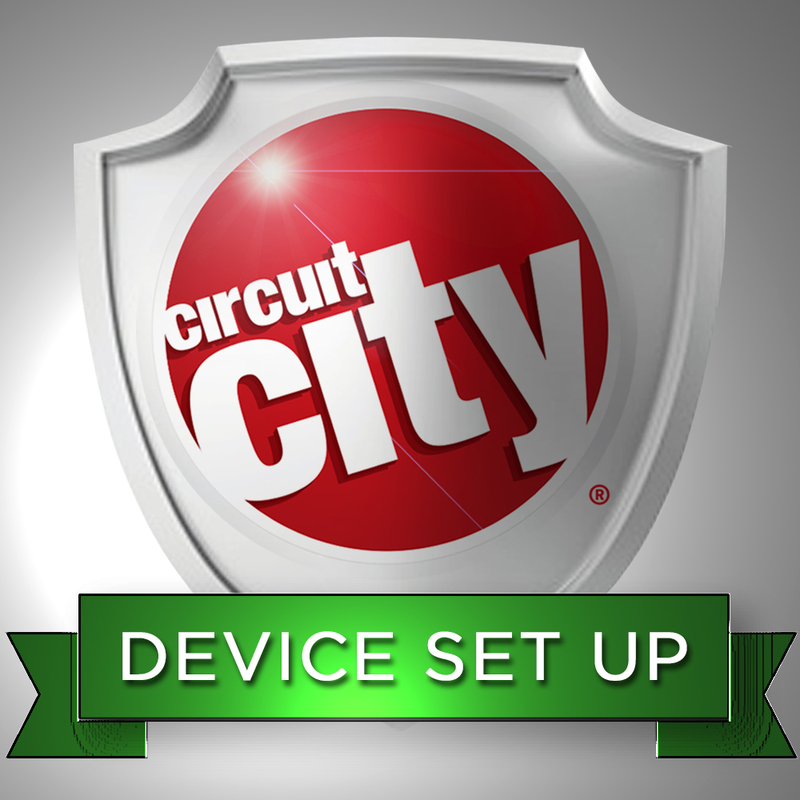 In addition, it can be set as a sleep timer from 15, 30, 45, 60, 90, to 120 minutes, so you can fall asleep to the radio listening to your favorite talk or music stations. 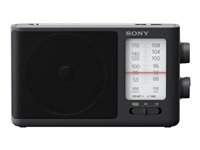 This featured laden, yet extremely affordable radio not only looks good, but packs a powerful sounding punch for its size. 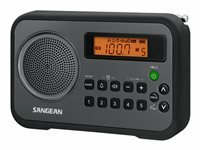 Like all Sangean products, tone is well balanced and excellent for both talk and music, making the Sangean PR-D18 the leader in its class. Driver Details Speaker: 1 x full-range driver - 2.25""